It has been proposed that thumbnails be reduced from 188 to 150 pixels to give faster page loads - this would be a lot of work - let me know your thoughts. Remember, unlike a book, websites are free to improve and grow forever. Write originally using plain language; when technical terms are used, try to provide a definition for the glossary. Do not worry about grammatical perfection as everything will be edited and corrected in time. Do strive for scientific accuracy, citing good journals when possible; the webmaster can lend some support in literature searches. We aim for picture content to drive development of narrative content. Narrative should explain in scientific context the pictures of real fossils. The Fossil Mall has given the museum unrestricted to access to their content. It is an extensive website. To locate specific fossils, it is best to start at the index of fossils for sale, and also see the Trilobites for Sale page. I also have a link of archived items not on their website. E-mail their webmaster for requests for images. Links are not required, and therefore they cannot be broken. 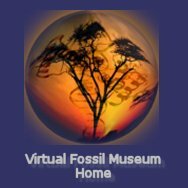 Robert at Educational Fossils offers to donate fossil kits for us to give away in exchange for teachers developing lesson plans to post on the site. Sharks and Rays E-mail Mark and Dan D.